Size wise - they come up pretty good. I'm wearing the size 29 and I'm a 10-12 in jeans usually. A little lower slung than my Maison Scotch ones but they fit well so I've not needed a belt with them. 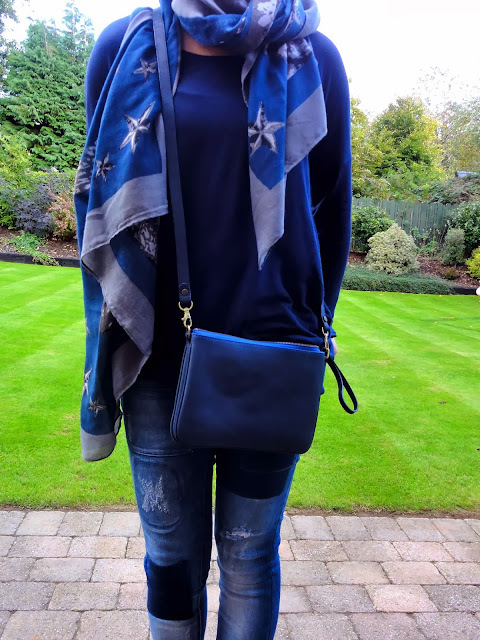 Oh and here's where I fess up to another Boden purchase - the Canonbury Clutch (or in my case, the cross body - it works as both). LOVE it - it's filled the navy gap in my handbag collection since my quilted vintage one got damaged. And with 20% off and a £10 voucher, it was a no-brainer! Nice! I love my h&m one's! Those jeans are amazing Avril!! My favourite jeans ever are a pair of Only ones I got from ASOS years ago, I haven't been able to find the gorgeous blue colour in any other jeans since, and I think these are exactly the same shade. Loving the rips and patches, I bought a maternity pair with patches a few weeks back. What is the sizing like on these? They look fabulous - very cool indeed!! Might have to order them as they are in the sale! Now Avril. I really didn't expect this - you are a dark horse. You are way ahead of me on the trends. I need to do some catching up! 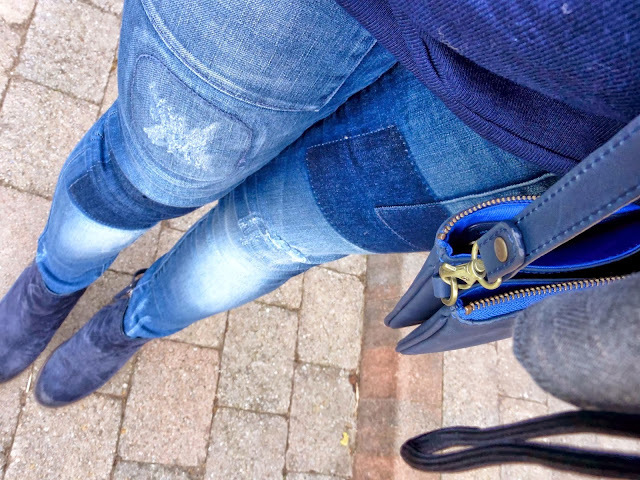 BTW, you have such great legs for skinny jeans. 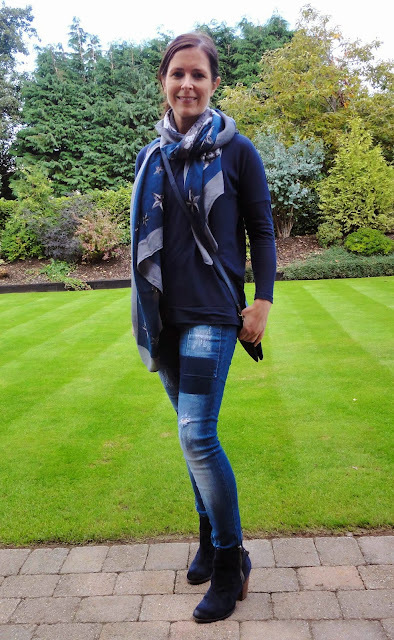 these jeans are too cute and love the scarf too! I think I'm on the fence for the moment with the jeans ... but LOVE the bag and the scarf! I'm in love with your jeans! So cool!! !